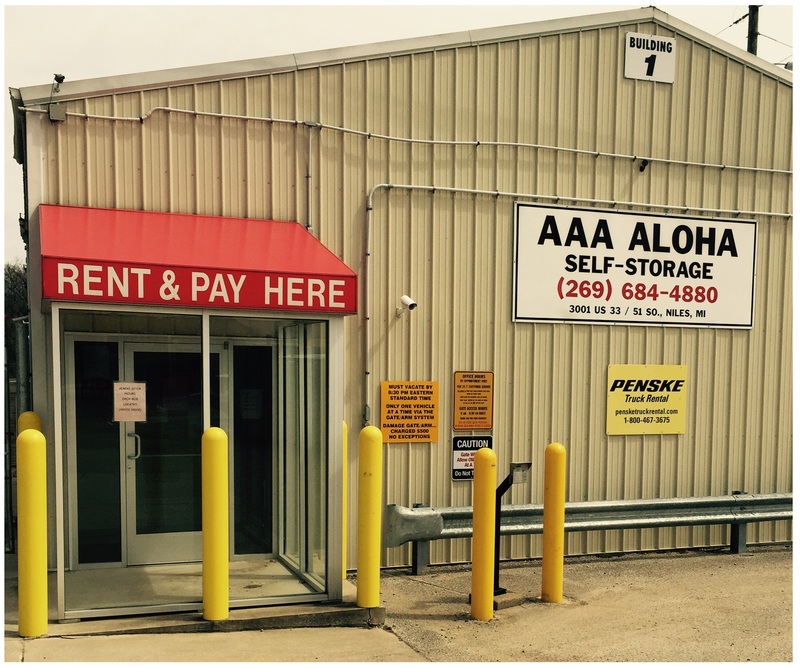 AAA Aloha Storage is a locally-owned and operated self-storage facility. For many years, we've provided excellent customer service and affordable storage unit rates to local residents and students in Michiana. We provide these kinds of services to make sure your storing and moving experience is friendly, fast, and easy. 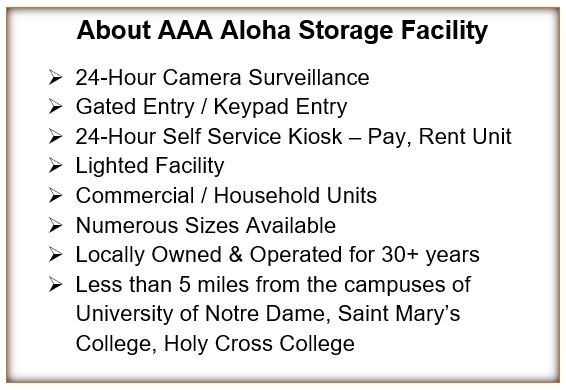 AAA Aloha Storage is located just 5 miles straight north of the University of Notre Dame and Saint Mary’s College. We are the one-stop shop for those who need long-term storage, summer storage, or monthly personal item storage. Our facility is camera-monitored with over 25 active cameras on the complex and an additional gate code monitoring for anyone entering or exiting the complex. Whether you need a month-to-month lease in the Niles, MI / South Bend, IN area, our staff is here to assist you with your storage needs. Mini storage made simple. Call to ask about our specials and low rates on storage units in Michiana. Se habla espanol.